Joe & Max (aka 3D Joe & Max) are artists who have traveled the globe creating their artworks for a range of clients including Google, Disney, Reebok, Save the Children and Coca-Cola. 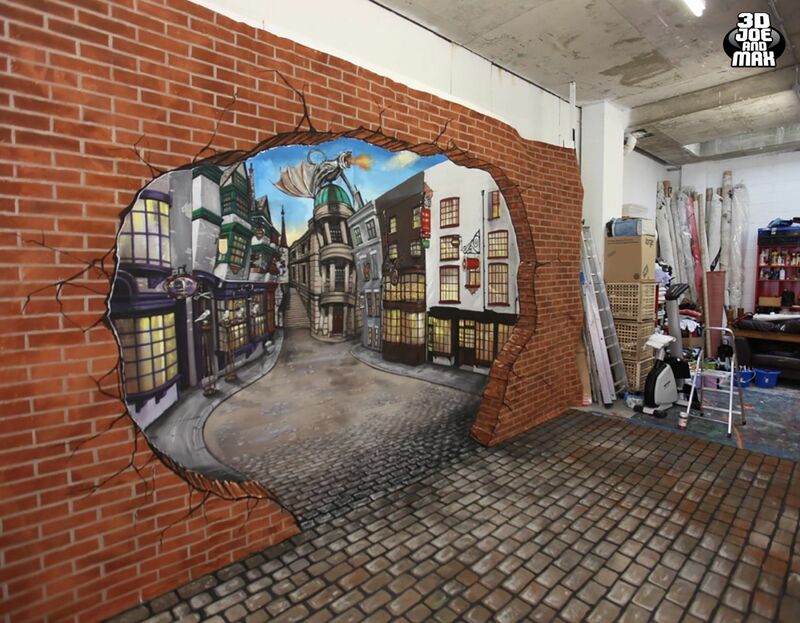 We re-created ‘Diagon Alley’ from the Harry Potter films, as seen here in our studio. The finished artwork was displayed at King’s Cross to launch Universal Studio’s new Harry Potter Ride.